MELBOURNE, VICTORIA, AUSTRALIA, June 28, 2018 /EINPresswire.com/ -- Imagine yourself in a underground cage fight, where the only rule is to fight until unconsciousness.. Or even better, imagine yourself in a fighting ring facing against Mike Tyson.. Nightmare right? Well, we may have some good news for you, in this upcoming VR game, we may turn this nightmare into pure entertainment! 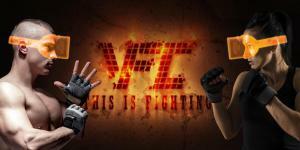 Virtual Fighting Championship (VFC) is a VR PvP fighting game - Featuring a true to life virtual caging fighting experience. The game will allow its players to put on a true display of fighting skills: Jabs, hooks, crossovers, dempsey roll... you name it, all your favourite fighting moves can now be extravagantly unleashed inside the virtual arena against a REAL PLAYER to test your mettle. Yes, you heard it right, VR fighting game communities should no longer suffer from fighting against brain-dead AI algorithms, which can sometimes feel like a rhyme game in disguise. 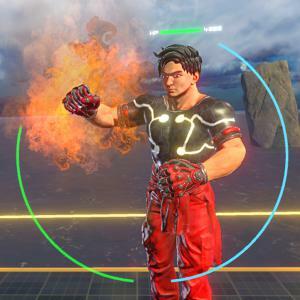 Instead, players can now spar against real players, real opponents in a virtual arena filled with outplay potentials and thrills of fight - Experience a change of taste, no longer you need to memorise pressing control button in the correct sequence, come and fight using your own body as controller, and show off your strength in this next-gen fighting game! You think that’s all? No, VFC have its own versions of ‘hadoken’.Currently featuring 3 unique in-game characters, each character have their own unique abilities and attributes, creating a variety of distinctive play-styles and tactics: There is Karl who can throw devastating nuclear punches, or Poison who can use venomous gas to his advantage, and Fala who relies on using electric charged Chakram to masterfully trap and assassinate her opponent, and make no mistake, VFC shall have a continuously expanding pool of characters with cooler and better special abilities. Let’ settle the debate of whether E-sport is a real sport or not. VFC is our best attempt at bringing ‘E’ into ‘sport’ and ‘sport’ into ‘E’. Players will indulge into a real thrill of the fight. Developed from 2016-2018 by L&L an indie studio, VFC is planning to launch in July 2018 onto steam while it is already available to play in VR Arcades.